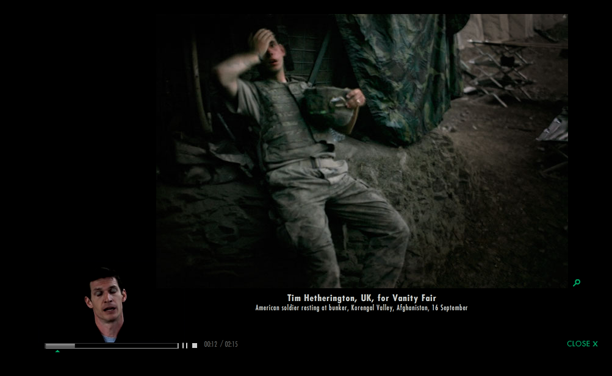 Incredible feature on the World Press Photo site where you can watch a video of the photographer describing the story behind their award winning shot (here). 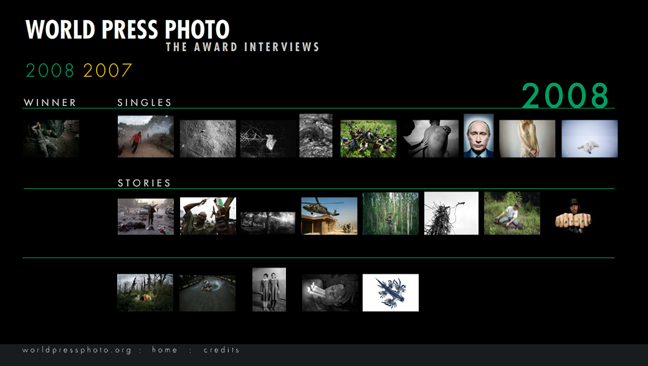 I haven’t explored all the photographer interviews but listening to Platon describe the chain of events that led to his award winning portrait of Vladimir Putin (possibly the only formal portrait he’s ever agreed to) reinforces my belief that great photographers will always deliver under any circumstance. I’ve not seen a picture of Putin where you can actually sit and contemplate his expression and facial features and while that may seem very trite sitting in your home or office in front of the computer under the circumstances presented I think it’s quite remarkable. Regardless, hearing the stories behind the photos is an incredible addition to the World Press Photo event and certainly a huge step toward increasing the popularity in the future. 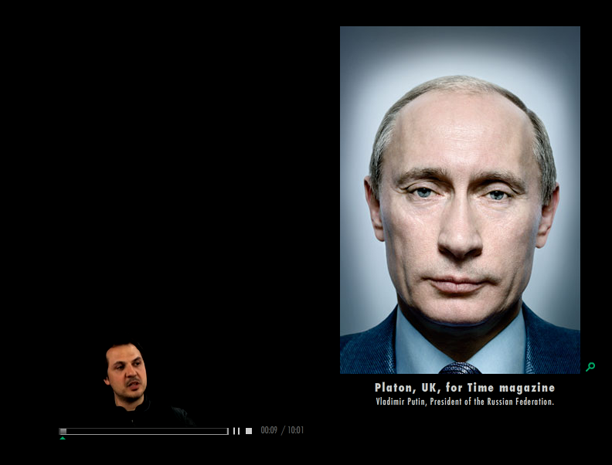 Platon’s story about the Putin photo is amazing! Best 10 minute story I’ve heard for a long time. Yeah, it’s always an amazing combination when a great photographer is also a good story teller. There are some very compelling stories there. Thanks for sharing, Rob. Platon had me feeling like I was in the Dacha with them. Thoroughly absorbing. I am struck by the seriousness of some of the photographers – it is beautiful – and the stories certainly are something in themselves – in their own right. Platon’s story of Putin was so engaging; he is SUCH a good story teller. I felt like as if I was there with him! I have to agree with all the responses here about Platon’s story. It’s probably the most interesting story I’ve heard recently, and very inspirational. Hardly a surprise that his favorite song would be Yesterday, since that is where he seems to living. Merry Christmas pals! I’m drunk as a cobbler !!! Lying against the monitor alone and cryin’ a song…! Join me tonight! Linkin park & Jay Z !!! The flow o’ the century…always timeless…HOVE!